Beyonce’s L’officiel Magazine Shoot and Behind The Scenes Footage! 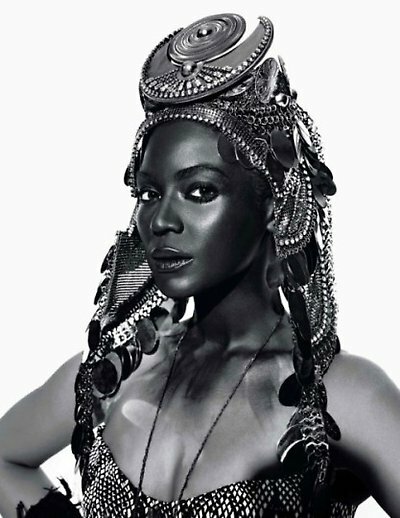 Having taken inspiration from the musical “Fela!” – the musical based loosely on the life of Nigerian musician and activist Fela Kuti, L’officiel Magazine did this shoot with Beyonce . Shot by photographer Mark Pillai in February, the photographs were published for the French magazine’s 90th Anniversary, during America’s Black History Month and during both London and Milan Fashion Weeks, to help raise awareness on black beauty and for more black models on the runways. What do you think of the images? I set MY own trends. Africa, African Queen, beyonce, Fela Kuti, Fela!, L'officiel Magazine, Mark Pillai, Tina Knowles. Previous Post New Snow White and The Huntsman Pictures! !